The KrisFlyer and PPS Club are the frequent flier programs for Singapore-based carriers Singapore Airlines, SilkAir and Scoot who operate flights to destinations around the world. Earning KrisFlyer miles with the program is easy as there is a healthy variety of accrual partners both in the air and on the ground. This guide will go in-depth into the various aspects of the KrisFlyer and PPS Club programs from earning status to the myriad of benefits accorded to members across the Singapore Airlines and Star Alliance network. This guide is a sister piece to the Travelcene Guide to Singapore Airlines and SilkAir. What is one KrisFlyer mile worth? Three separate and non-interchangeable ‘currencies’ exist within the program, namely KrisFlyer Miles (or award miles), Elite Miles, and PPS Value. As KrisFlyer is still a distanced-based program (for the most part), miles are calculated based on distance flown and not the price of your ticket. KrisFlyer Miles can be earned through a variety of means. In the air, these can be accrued on flights within the SQ Group and on other partner airlines (listed below). On the ground, spending with Singapore-based credit cards will allow cardholders to earn miles. The KrisFlyer program also maintains a healthy list of transfer partners with loyalty programs that operate in Singapore. Elite Miles can only be earned whilst flying with Singapore Airlines, SilkAir and Star Alliance carriers. They are earned at the same time and rate as normal KrisFlyer miles and the difference between the two is that Elite Miles are only used to track loyalty and cannot be used to redeem anything. PPS Value (denominated in S$) is earned based on the ticket price (excluding taxes) of flights taken in premium cabins (Business and First/Suites) on Singapore Airlines or SilkAir only. It's also pretty easy to spend your KrisFlyer Miles. From KrisFlyer redemptions for flights, upgrades, vouchers, retail goods and even to conversions into other programs, it's harder to earn KrisFlyer miles instead of spend them. Flights on Scoot accrue miles based on the base fare of your ticket at a rate of 1 mile per USD spent. Elite Status is only achievable through earning Elite Miles and can only be gained by actually getting on a plane and flying somewhere, ie. 'air miles'. Furthermore, Elite Miles are only used to track and retain status - they cannot be used for redemptions of any sort. 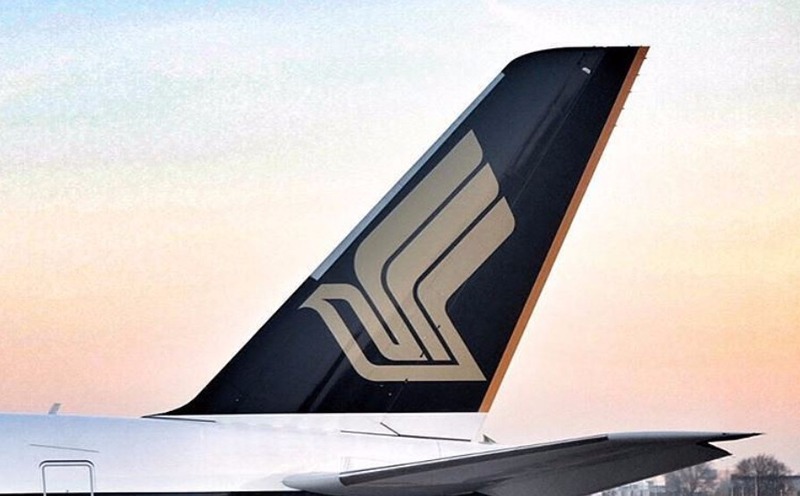 As Singapore Airlines partners with and is a member of Star Alliance, earning Elite Status with KrisFlyer and PPS Club also means achieving equivalent status with the Star Alliance family of carriers, and the benefits that come from it. Both Elite Status with KrisFlyer and PPS Club is tracked on a yearly basis. To qualify for KrisFlyer Elite Silver, members must fly 25,000 miles in a consecutive 12-month period. KrisFlyer Elite Gold is subsequently achieved after another 25,000 miles flown in that same period, for a total of 50,000 miles. Singapore Airlines awards members elite status immediately after they have been attained. To qualify for PPS Club membership, one must spend a minimum of S$25,000 in a year on tickets in premium cabins on Singapore Airlines or SilkAir flights. Qualification for the highest tier, Solitaire PPS, requires S$50,000 to be spent. Any value accumulated over S$25k (PPS) or S$50k (PPS Solitaire) can be rolled over to the next year, and is known as ‘PPS Reserve Value’. Earning PPS status also confers KrisFlyer Elite Gold. Flying in Business and First Class means that you will accrue both KrisFlyer miles and PPS Value. Sign up for a KrisFlyer account here. There are no KrisFlyer membership fees and the minimum age for membership is 2 years old. This section of the guide aims to dispel certain misconceptions about how miles can be earned. For example, miles are often earned outside of flying despite what most people believe. Continue reading our guide to learn how to earn KrisFlyer miles fast. While your KrisFlyer membership does not expire, KrisFlyer miles do expire 36 months after they have been accrued regardless of how they were earned. KrisFlyer allows for miles to be extended either by 6 months or by 12 months.To extend the expiry date, KrisFlyer members can pay 1,200 miles/USD 12 for each block of 10,000 miles extended - this is free for Elite Silver and Elite Gold members. Extending miles for 12 months is only allowed for Elite Silver and Elite Gold members at the same USD 12/1,200 miles rate. Earning miles through flying depends on your class of travel and the fare class of your ticket. KrisFlyer members are able to accrue miles on flights with SilkAir (MI) since the carrier is within the Singapore Airlines group - SilkAir will however will be merged into the fold starting in 2020. With the new Singapore Airlines online booking platform, you don’t have to double check your fare class in order to determine how many miles you will be earning. For every fare type, the mileage accrual levels are prominently displayed at the point of booking - 50%, 70% and 100% in Economy and 100%/125% in Premium Economy and so on. The mileage accrual percentages (eg. 50%) listed will applied against the total miles flown on the given route. In other words, if the actual miles flown on a roundtrip between Singapore and London is 13,522; purchasing an Economy Lite fare with net you only 6,761 miles whilst an Economy Standard would net you 10,141 miles. To calculate the number of miles flown for a flight, use the KrisFlyer Miles Accrual Calculator. If you're thinking about maximising miles for a redemption/qualifying for elite status - pay attention to the fare classes. Flying with G fares on Singapore Airlines will not accrue any miles of any sort - not to worry though, these are usually reserved for charter flights. Members who are KrisFlyer Elite Silver and above will enjoy a tier bonus of 25% extra KrisFlyer (not elite) Miles on every booking made in Economy Standard and above. Applying PPS Club ‘Double Mileage’ vouchers will double your accrual quantum. Sometimes, Singapore Airlines runs promotions with banking or hotel partners that may offer mileage bonuses on top of the standard accrual entitlements. In the past, the airline has offered a double KrisFlyer miles promotion to KrisFlyer UOB customers flying with the carrier and a similar promotion was extended to Shangri-La Gold Circle members staying with the hotel chain and flying with the airline. Promotional and tier bonuses will be applied against the base miles accrued for the flight, ie. 25% extra or double the 10,141 miles we cited in the Economy Standard example. KrisFlyer members can also earn 1 mile per dollar spent on all Scoot (TR) flights provided that the booking is comprised only of Scoot-operated sectors. For flights that have a mixed SQ/MI and TR itinerary, you will earn anywhere between 10% and 25% of the total miles flown. Refer to this chart for accrual rates. Note that Elite Miles will not be accrued for travel on any Scoot flight. As you would already know from the previous sections, earning miles isn’t as simple as booking a flight. KrisFlyer members can earn both KrisFlyer and Elite Miles on travel with Star Alliance partners. With Star Alliance carriers, earning miles can range from 0% miles (yes those exist) on Discount Economy tickets to 150% on First Class. No two fare classes are made equal. For example, while Fare Class H on ANA earns 70%, the same Fare Class H on Thai Airways earns 100%. Thus, it pays to be aware of what you’re going to be accruing for each fare class in order to optimise your accrual (ie. sourcing out alternatives). Refer to this crucially important mileage accrual chart to know how many miles you’ll earn on travel with partner airlines. If you'd like to find out how many partner miles you'll earn by flying with Singapore Airlines, refer to wheretocredit.com or consult the resources pertaining to the respective airline's frequent flyer program. Additionally, KrisFlyer has multiple strategic partnerships with many loyalty programs based in Singapore and has multiple cobranded banking products with American Express and UOB. By spending money using these cards, members can earn KrisFlyer miles for every dollar spent. This can range from a measly 0.4 mpd to the industry leading 4 mpd depending on the card and what you are purchasing. In partnership with the United Overseas Bank, the KrisFlyer UOB banking product is debit card and account that allows for up to 5.4 miles to be accrued for every dollar spent on the card (though with huge caveats) along with other benefits like access to the MightyFX facility and travel perks with Scoot, Grab and ChangiWifi. Though the initial launch of KrisFlyer UOB product was quite badly received, a later round of much needed enhancements has increased the value of the product. That being said, it could perhaps be the case that UOB and Singapore Airlines are targeting a different market segment - those who are ineligible for credit cards as they are <21 years old, ie. students. If you are a student who travels on a budget even once or twice a year, the KrisFlyerUOB card is easily one of the best options available within the admittedly measgre pool of debit card offerings. Following this, we highly recommend the KrisFlyer UOB Debit Card and Account to anyone below the age of 21 thinking of getting started with earning miles. Keeping in line with most airlines around the world, Singapore Airlines partners with American Express to provide a healthy suite of co branded credit cards. These four cards are, namely, the entry AMEX KrisFlyer Credit Card, the KrisFlyer Ascend, the PPS Club and the PPS Solitaire. First things first, the KrisFlyer Credit Card. As the base offering, this card is decent in that it earns 1.1 miles per dollar (mpd). It is also earns 3.1 mpd on all rides with Grab probably due to the partnership Singapore Airlines has with the ridesharing company. However, this is pretty much it for the card - there is no boost for overseas spending except in the months of June and December where you will earn 2mpd, a pretty uncompetitive rate. One also earns 2 KrisFlyer miles for anything spending made on Singapore Airlines (flights, in-flight and online KrisShop purchases). Though the $150 cashback seems enticing at first glance, this is only earned after a whopping $12,000 spent and can only be used for Singapore Airlines tickets. That being said, the extremely generous sign up and spending bonuses of the card are it’s strongest suit. If you would go to the AMEX KrisFlyer page right now, you’d see a host of ‘free miles’ being offered for every action from signing up to hitting spending milestones and even Supplementary card. Needless to say, you’d be awash with miles if you do meet the criteria - a worthy trade considering that the card comes with a first year fee waiver. Though the faded Sarong Kebaya design is pretty nice as well, it’s nowhere as nice as the KrisFlyer UOB. For the KrisFlyer Ascend, things are a little more generous. At 1.2 mpd for local spend and 3.2mpd on Grab, the increase is paltry at best. Sign up bonuses are boosted (albeit with more spending required) and membership comes with a complimentary Hilton Silver membership and a free night at 110 Hilton properties in Asia Pacific and 4 lounge access vouchers at any participating SATS Premier and Plaza Premium Lounge. The latter is especially helpful if you’re in a pinch. There is also an interesting proposition available here - an automatic upgrade to KrisFlyer Elite Gold once you spend S$15,000 on tickets at singaporeair.com. Though this might seem like extortion, especially with the stipulation on spending only on tickets, one could benefit from the offer by booking for a group as there is no stipulation that tickets can only be for the cardholder’s travel only. In practice, hitting this S$15,000 figure could mean taking 5 roundtrips in Business Class between Singapore and Tokyo which brings you up to 41k miles, just 9k short of KrisFlyer Elite Gold. Technically, this does mean you’ve qualified for Gold with ‘less effort’ but you also did spend S$15,000. With that said, it’s clear that the status offer is less of a travel hacking loophole and more of a sales tactic. Other restrictions are also applicable. Tickets can only be purchased in SGD and travel can only originate in Singapore for it to count to the high S$15,000 amount. This 'status challenge' is also only valid for a year after which the standard 50,000 miles qualification requirement comes into force. Singapore Airlines could have provided real value to its cobranded card customers here by offering re-qualification year after year based on an unrestricted S$15,000 (PPS Club is after all, only 10k away) but that’ll be a stretch based on the history of Singapore Airlines and how it treats elite status. KrisFlyer miles are transferred to your account without the need to pay for a transfer fee. This is something unique as the ‘miles cards’ of UOB and DBS will levy either a depositing fee (around $25) for each conversion of bank points into KrisFlyer miles or charge you a flat annual membership fee for an unlimited number of conversions. Money grabbing? Go figure. Unlike the strategy of other airlines in offering elite status by virtue of being card holders, Singapore Airlines does the opposite in restricting the AMEX PPS and PPS Solitaire cards to club members only. You’d think that Singapore Airlines would also give a generous earning rate to its most loyal passengers especially with the PPS Cards but that seems to not be the case. Just like the Ascend, it steps up their earning rates by 0.1 mpd to 1.3 (or 1.4 with S$3,800 spent every month). There are also spending milestones that once hit, will bestow gifts like a 50% KrisFlyer miles redemption vouchers or a double accrual voucher but these have ridiculously high spending requirements. The PPS Solitaire Card has the same 0.1 mpd boost (only with that same S$3,800 minimum) though an upgrade voucher to First/Suites will be handed out once S$50k is spent (shudder). This however, is valid for one sector only. TL;DR - High (usually unwaivable) annual fees, weak mileage accrual rates, and high spending milestones to get rewards. If anything, get the base KrisFlyer credit card to hit all spending milestones and receive the bonus miles. Cancel before your first year is up. Your best option to accrue miles (if you’re eligible for credit cards that is) thus lies outside of the AMEX Singapore Airlines portfolio of cobranded cards. With these 'miles' credit cards, however, you're earning points with your bank, be it OCBC$/DBS Points/UNI$/Citi ThankYou points and not KrisFlyer miles directly. Hence, in order to get KrisFlyer miles, you'll have to convert these currencies via your bank's rewards portal and send it over to Singapore Airlines. Each bank has its own 'exchange rate' and levies a different cash charge per conversion and transfer. Making a reservation with Chope will net you 100 Chope Dollars unless there are promotions going on. Currently, using the code ‘CHOPEKF’ on all reservations will net you double Chope Dollars. Sign up here. Full disclosure: we'll earn 300 Chope Dollars if you sign up and make a reservation through our link. Considering that Chope routinely runs promotions with bonus Chope Dollars per reservation and that it literally costs you nothing to reserve a table (obviously you still have to show up), this is a great boost for many looking to earn extra miles. During promotions, one can often earn up to 400 C$ per reservation. GrabRewards members can convert 10,000 points for 1,000 KrisFlyer miles. Members with Elite Status (on Grab) can apparently convert 9,000 GrabRewards points for the same number of miles instead. Considering that there aren't any significant competitors in the ridesharing market (Uber having exited a month ago), it makes sense to choose Grab simply because of the ability to earn miles through your rides. That being said, GrabRewards points can also be used to redeem for Grab vouchers and discounts with other retail establishments. Hence, think about whether redeeming for miles is the best option for you before proceeding. We’ll be doing a separate guide on GrabRewards in time to come. Make sure yo're armed with your PAssion card whenever you shop at Cold Storage, Marketplace, Jasons, Giant or Guardian in order to earn TapForMore points. There are no minimum conversion amounts and the prevailing exchange rate stands at 1 point = 0.43 miles. This is better than the 0.6% effective rebate you were to get by redeeming TapForMore points to offset your bill. Furthermore, if you're spending with UOB credit cards, supermarkets like Cold Storage and shops like Guardian are SMART$ merchants instead of UNI$. You will hence not earn any miles at all by spending at these places. Therefore, make sure you have your PAssion card to 'rescue' miles if you do spend at these places. You can also convert 1 KrisFlyer mile into 1.1 TapForMore Points but don’t - it’s terrible value. For all spending at Changi, earn 10 points for every S$10 spent at participating outlets in the airport. You can 2x points if you’re a Changi Rewards Gold member (S$4,000 spend) and 6x if you’re Platinum (S$8,000). Flexi Conversion for an on-demand conversion of 3,000 Changi Rewards points to 500 KrisFlyer miles. Auto Conversion for an automatic conversion of 1,2000 Changi Rewards points for 200 KrisFlyer miles (for Platinum members only). For all spending (except tobacco) at Heathrow, you will earn 1 point per £. Converting currency at Travelex nets you 1 point per 10£. 250 Heathrow Rewards points can be converted to 250 KrisFlyer miles and any further conversions are in increments of 250 points. Earn 500 free points by joining and using Singapore Airlines’ promo code - SAAO18. You can literally sign up and exchange the points for miles right away. Some exclusions exist. Refer to the terms and conditions here. Every $1 spent on M1 bills, you will receive 1 SunPerks point. M1 and Singapore Airlines are currently running a promotion where extra discounts and miles are offered to KrisFlyer members who sign up for M1 Fibre Broadband or Mobile subscriptions. Refer to this page for more information. Due to its reputation and global reach, Singapore Airlines also partners with the loyalty programs of famous hotel chains. This means that KrisFlyer members can convert their hotel loyalty points from SPG/Hilton Honors/Le Club Accor/etc to KrisFlyer miles and vice versa. For the most part, it’s best to not convert hotel points into KrisFlyer miles as the exchange rates usually ‘devalue’ the value of the points. The KrisFlyer miles conversion process can sometimes take weeks. Nevertheless, if you’re not one to use these hotel points anyway, converting them to KrisFlyer miles could be a convenient ‘out’ for you. There are occasional 3x, 4x and even 5x promotions by Mileslife. Add to this the many promotional bonuses (KrisFlyer last had theirs over the last 2 weeks of Dec 2017) and promo codes that stack on top of the base miles earning and it does get quite lucrative if you use the platform extensively. If you’re looking to get in on the action too, sign up for Mileslife here and use the code ‘TRAVELCENE’ for an extra 1000 miles when you first spend $49 and above. Full disclosure: we’ll also get a 1000 miles boost. As both reserving tables ahead of time and paying with Mileslife after the meal do not incur any cost, doing both means that you’re earning miles on the Chope side and with Mileslife as well. Add to this the miles you earn by paying for food via Mileslife (you’re ultimately charging to a debit/credit card) and you’re looking at turbo charged earnings. If Shopback is the go to platform for cashback on online purchases, KrisFlyer Spree is the Shopback for miles. In case that wasn’t clear enough, transacting with merchants through KrisFlyer miles will pay out in miles instead of cash. Though spending with KrisFlyer Spree is definitely better than nothing, compare the mileage accrual rate with the Shopback cashback rates and choose the option that gives you the most value. Unsure about what a mile is worth? We’ll cover that in the next section. Now that we’ve covered the earning side, let’s move on to everyone’s favourite bit - redeeming miles. Miles can be redeemed for a variety of things like flights, upgrades, hotel stays, vouchers and even small items like USB chargers. This can be done via a booking outright from Singaporeair.com, through KrisFlyer vRooms or through KrisFlyer Shop. One can also pay for flights and items with a mix of cash and miles on both Singapore Airlines and Scoot. KrisFlyer has many partners spanning all segments of the travel, hospitality and retail industries. However, some of these partners will give you better value for your miles than others. While most people redeem their airlines miles for flights anyway, we'll go through the whole spectrum of options. However, before we jump into your redemption options, it is perhaps useful to understand what a KrisFlyer mile is (or could be) worth. As KrisFlyer miles do not have any inherent value, the value of a KrisFlyer mile is decided based on what you redeem it for - be it a flight, hotel room or a voucher. Consequently, it makes sense to ‘maximise the value’ of each mile you do redeem by redeeming things that have the highest value per mile. These valuations are always denoted in cents per mile in traditional travel hacking parlance. We’ve searched for one-way flights to these three same destinations leaving on 16 March 2019 and returning on 23 March 2019 for standardisation’s sake. For future reference, these dates are 9 months ahead of the time of writing. The first number on the left will be the price of the flight and the second would be the ‘cents per mile’ of the redemption based on the ticket price vis-a-vis the miles needed to redeem the flight. Prices are subject to currency fluctuations but redemptions using miles aren't. Note that the prices for flights listed below are for a roundtrip which means that for a fair comparison, we would have to double the number of miles mentioned above as those are one-way figures. Apart from the fact that some of these prices are ridiculously high and that no average person would pay for Business/First Class out of pocket, it is clear that the value of a KrisFlyer mile redeemed on flights increases with the class of travel. Consequently, redeeming miles on flights will net you a value of about 1 - 6.5 cents per mile. As a rule of thumb, the highest value you’ll get out of your miles will be on redeeming flights in premium cabins. We’ll explain in later sections what we value KrisFlyer vRooms and KrisFlyer Shop redemptions to be. The cheapest redemption, Singapore to Kuala Lumpur or Jakarta in Economy. All redemptions listed here are for one-way flights. As you can see, having anywhere between 5,000 and 10,000 KrisFlyer miles doesn't really buy you much. That being said, the same can be said about other airline frequent flyer programs as well. Hence, it's prudent to look at mileage accrual whenever you book flights and not just going for the cheapest tickets available if you intend to accrue miles. By using your miles to redeem a plane ticket, you are claiming an ‘award flight’ meaning that you are essentially paying for your seat in miles instead of cash. However, award flights do not allow you accrue miles for flying (fair enough). Also, since KrisFlyer partners with other airlines as well, this means that you could use KrisFlyer miles to redeem flights on airlines like Lufthansa, United, SAS and Alaska Airlines! In that vein, one can book Singapore Airlines flights with 'United miles' or 'Lufthansa miles' as well. Redeeming award flights and upgrades should be easy as booking a flight online like you would normally do. This works perfectly fine for flights with Singapore Airlines and SilkAir. However, although Singapore Airlines is gradually rolling out redemptions for flights on partner airlines through their website, the service has been spotty at best. As such, if you face any problems booking award flights with Star Alliance or partner airlines, call up KrisFlyer Membership Services. Make sure that they also waive the online booking charges. KrisFlyer miles do not cover airport taxes and other miscellaneous charges and fees for award flights; these have to be borne by the passenger at the time of booking. SQ and SilkAir generally limit the number of seats available for redemption, especially in premium cabins. This means that for a given Business Cabin, perhaps only a handful of seats are marked as ‘award redeemable’. Therefore, getting a seat on high demand routes like Singapore - London usually isn’t an easy affair. That’s where Advantage awards come in. By ‘paying’ more in miles, one can more easily secure a seat without having to wait for availability. For this privilege, Advantage awards cost a great deal more at 120k miles to Europe whilst Saver awards cost a ‘mere’ 85k. In any case, refer to the Singapore Airlines and SilkAir Redemption and Award Chart for the exact numbers. Here's a list of popular Singapore Airlines destinations and cities. Every month, Singapore Airlines releases a list of flights departing the following month (known as KrisFlyer Spontaneous Escapes) that will feature reduced redemption rates. In most cases, this is a 30% cut. For example, it usually takes 17.5k miles for a Business Class flight between Singapore and Bali. With this KrisFlyer promotion, this number falls to 12,250. Travelcene keeps track of every month’s KrisFlyer Spontaneous Escapes - head here to find out more about this month’s promotion. Redeeming award flights on Star Alliance airlines is a much simpler affair and has been distilled into a single chart. Note that the amount of taxes/surcharges and fees payable on such redemptions are variable depending on the airline and your origin. European carriers tend to impose pretty hefty surcharges. Here's the KrisFlyer Star Alliance Award Chart. You can also redeem KrisFlyer miles for Star Alliance Round the World Awards. This begins at 180k miles for Economy, 240k in Business and 360k in First. Call KrisFlyer Membership Services for assistance. As Singapore Airlines also has agreements with non Star Alliance carriers, KrisFlyer members can also redeem miles for travel with these airlines. Refer to the linked charts for the required miles and very importantly, the various airline-specific conditions and exclusions. Redeeming an upgrade with KrisFlyer miles is exactly what it sounds like, buy a ticket for a seat in Economy and get yourself upgraded to Premium Economy using your miles. Same for Premium Economy to Business, and Business to First. However, note that by using KrisFlyer miles to upgrade yourself (functioning along the same lines as a cash upgrade), you will only earn the requisite elite and KrisFlyer miles of the original fare and cabin class. The Saver and Advantage concept also applies when redeeming miles for upgrades. In order to be eligible for an upgrade, the fare class you book should either be Economy/Premium Economy or Business Standard or Flexi. Lite fares are not upgradeable. Upgrades are now limited to only one cabin upgrades which means that you can upgrade from Economy to Business on a flight with no Premium Economy Cabin. However, if there is one, like on an A380, upgrades to Business can only be processed on Premium Economy Standard/Flexi fares. You can redeem KrisFlyer miles for upgrades on flights operated by Star Alliance carriers. However, one has to book Economy Flexi tickets (on most airlines) to be eligible for this option. Upgrades from Economy to First (in a two cabin class aircraft) are also not permitted. For many infrequent fliers, accruing enough miles to redeem a flight outright is a tough proposition, especially if you don’t stick to flying within Singapore Airlines’ network of partners. Hence, you can also pay for flights partly in miles, reducing the cost your cash outlay when booking a flight. To do so, simply go through the usual booking process and choose KrisFlyer miles as your preferred ‘currency’ at the payment stage. You can also opt for this for bookings on Scoot. However, we suggest that you to NOT do this because you are getting a horrible valuation of your miles. Considering the various miles + cash mixes that KrisFlyer offers you, it’s possible to calculate just how many much they are valuing each mile at. If you’re lacking some miles for a redemption, KrisFlyer also gives you the option to purchase miles in blocks of 1,000 miles for USD 40 which is exorbitantly high at 0.53 cents per mile. This option is limited to members who need less than 50% for the specific award redemption which conversely means that a maximum of 50% of the miles for an award redemption can be ‘bought’. Miles can only be ‘bought’ at the point of booking to supplement an award redemption. There is no 'Pay with KrisFlyer Miles Calculator' as the total miles and cash outlay varies based on the cost of the ticket - this fluctuates unlike the miles required for an outright redemption. Before 2017, Singapore Airlines used to have a separate Fuel Surcharge that was payable on top of its base fares. This meant that for award tickets, passengers had to borne the high fuel surcharges if they wanted to redeem tickets. However, as SQ has already folded the surcharged into the base fare, these will not be applicable to SQ operated flights. This is not the same scenario for travel on partner carriers as they might have their own fuel surcharges. These can be quite high depending on the carrier, making a redemption not worthwhile. Make sure you do your due diligence (seeking out other options) before booking. Unlike a ticket paid with cash, award tickets do not have Lite, Standard or Flexi variants. Hence, if you require a change to be made to your ticket, KrisFlyer levies a flat charge for change fees regards of elite status. KrisShop is Singapore Airlines’ answer to an e-commerce store, doubtlessly another way in which the airline attempts to widen its revenue streams and ‘curate’ items that it thinks KrisFlyer members would be interested in. The shop stocks a healthy collection of items from lifestyle goods to electronics and even furniture. All of the potential options above (and probably most others) value miles at a miserable 0.8 cents per mile which means that redeeming miles for KrisShop items is terrible value. Again, redeeming miles for premium cabin travel can give you upwards of 4 cents per mile or about 5x the value compared to KrisShop redemptions. Though KrisShop is primarily a means in which members can redeem miles, purchasing items with cash are mileage accruable at 1.5 miles per dollar. However, it is likely that the prices on KrisShop are inflated especially since you are getting ‘value’ from SQ in the form of miles. As with anything, shop around before committing. KrisFlyer vRooms is a new initiative recently unveiled by Singapore Airlines that allows members to redeem KrisFlyer miles for nights at a hotel or for rental cars. These can be redeemed outright using miles or through a cash + miles mixed redemption. The selection of hotels available for redemption may also not be too comprehensive, but they're definitely of high quality. At first glance, redeeming miles via KrisFlyer vRooms seems like a bad use of miles considering that you’ll be effectively redeeming miles at 0.8 cents per mile. We’ve already covered the potential values that you would get out of redemptions on KrisFlyer vRooms. Long story short, it’s not really worth it. However, there is ONE case that could supercharge the value you get out of using KrisFlyer vRooms. If KrisFlyer vRooms is able to offer you a hotel room at a significantly cheaper price + a small number of miles; compared to any prices you can find elsewhere online, you’re in for a sweet deal. While the chance of this happening is rather slim, one cannot ignore the opportunity of this happening - read more here. As the cost of redemptions between Zones 1, 2, 3 and 4 to Zones 9 and above are uniform, one can take advantage of the KrisFlyer Stopover trick in order to get a cheap business class ticket for about $125 USD. Not only do you get the Business Class experience for a fraction of the price, it also means that you can plan ahead in advance for two holidays both with premium cabin travel. There are also en route stopovers you could leverage across the Singapore Airlines to stretch your miles a little further. More on that in our article here. How many KrisFlyer miles will I earn by flying with Singapore Airlines and SilkAir? The total amount you earn will depend on where you are flying to, your class of travel and your fare class. Head here for more information. Can I earn KrisFlyer miles while flying other airlines? Yes, on Star Alliance airlines and other partner airlines provided that you are travelling on an accruable fare class. Refer to this chart for more information. Can I earn miles on behalf of someone else’s flight or claim their miles? Can I transfer KrisFlyer miles to family and friends/another member? No, Singapore Airlines has no points pooling mechanism. You can however, redeem your miles for designated redemption nominees. I forgot to claim my KrisFlyer miles on a recent flight with Singapore Airlines/Star Alliance! Can I retroactively do a KrisFlyer miles claim? Yes as long as the flight is within 6 months. For travel with Star Alliance or partner airlines, head here. Technically, yes. However, miles can only be ‘bought’ at the point of booking to supplement an award redemption and not just to increase one’s balance. Can you sell KrisFlyer miles? Technically, yes. Will KrisFlyer close your account if you're caught? Also yes. Will I earn KrisFlyer miles when I travel on an award ticket? Do KrisFlyer miles expire? How do I find out the expiry date for my KrisFlyer miles? KrisFlyer miles expire 36 months from when they were accrued. To find out your 'expiry' milestones, Singapore Airlines has a handy 6 month forecast on its website for members to anticipate an upcoming expiry. For a longer forecast, contact Singapore Airlines. What options do I have for redeeming my KrisFlyer miles? You can either redeem miles for flights, upgrades, hotel stays, rental cars and other non-travel related items like bottles of wine and portable chargers. However, to get the most out of your miles, stick to the first two options. Refer to the KrisFlyer Award Chart here. What is the KrisFlyer waitlist? When redeeming flights on popular routes, you're likely to be put on the waitlist for redemptions as the flight may be full or that Singapore Airlines wants to wait awhile before it releases 'revenue' seats to redemptions. Unless you hold Elite Status with Singapore Airlines, you just have to wait until the waitlist clears.Alternatively, call Singapore Airlines for enquiries. Are there any sweet spots I can make use of? Sort of. The KrisFlyer Stopover Trick can help you save a significant number of miles or allow you to fly in Business Class for a mere $166. Can I change the dates, routes, name, etc. for an award flight? Yes. It’s all covered here. I still have other questions regarding accruing KrisFlyer miles or redeeming them. You can contact us at travelcene@gmail.com and we'll try our best to help! As many Asian travellers, especially those living in Singapore, are already familiar with Singapore Airlines, it pays to be aware about the circumstances surrounding its frequent flyer program. The biggest takeaways from our guide should be how you can earn and spend KrisFlyer miles with the best possible earning and redemption values. Furthermore, being able to strategically earn Elite Status definitely opens up a world of perks and privileges for you especially if you're beginning to travel more frequently. Interestingly enough, there used to be interesting loopholes for the program. For example, there was once a time when flying discount Economy (these can be very cheap) on United flights still allowed travellers to accrue 100% miles to KrisFlyer resulting in many Americans (and savvy Singaporeans) flying with United for cheap and getting Elite Status with KrisFlyer in the process. Sadly, the recent devaluation of earnings rates on United has meant that it is harder to retain KrisFlyer Elite Gold without shelling out large sums of money in the process. Partners like Asiana (70%) and SAS (100%) still routinely offer generous accrual rates on discount economy tickets. This stands in contrast to SQ's measly 50% though it must be said that this used to be a pathetic 10%. Nevertheless, despite some other shortcomings (like the quality of its lounges), the Singapore Airlines KrisFlyer & PPS Club program still remains as an attractive option especially for fliers based in Singapore. Not only are its long haul products industry-leading, it is making its short and regional haul services heads and shoulders above the competition. That’s before we even consider that redemptions for Singapore Airlines’ much loved long haul premium cabins are only available (for the most part) to KrisFlyer members using KrisFlyer miles. Some travellers (even those based in Singapore) have decided to look at other frequent flyer programs citing that KrisFlyer just isn't rewarding enough. Programs like Asiana Club and Eurobonus even have lifetime status and more generous benefits for lower tier members. Does Singapore Airlines rewards its frequent flyers sufficiently and adequately? That's up to you to decide. All photos located in this guide come courtesy of Singapore Airlines and its partners unless otherwise stated. Check out our other guides!